Introduced ourselves and what favorite remedy or herb we are using right now. Following we had updates from various people about happenings with the guild, announcments, and POD updates. Main focus is to raise money for the mobile apothecary, introduce ourselves, gain membership and educate community. A sign up sheet went around. ACTION ITEMS: Kami needs HELP – for day of, finding educators (for short presentations), naming & choosing short films, pre-planning meetings, media person to record event, vendors, set up and clean up, food tables, tea, popcorn, etc. 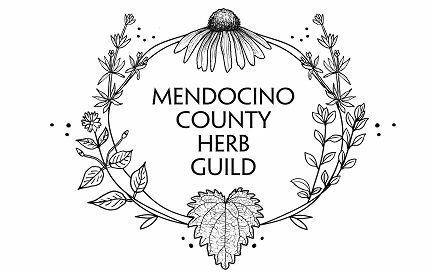 Donna spoke with Ellen Drell about the Herb Guild having a presence at The HUB in Willits. We spoke about some of the benefits (office space, main street, meeting place) and acknowledged that we already have most of t that thanks to Claudia and Michelle at Cultivate Wellness Studio. Cost for HUB presence is $110-150 a month. Since we don’t have that kind of cash right now, the idea has been put on hold. Claudia spoke with Madge Strong at W.E.L.L. about them providing a space for MCHG under their 501c3. It changes the way we can raise funds and gives us an ability to accept tax deductible donations. 1 or 2 people would need to be members of W.E.L.L. ($25/year, provided by Guild funds) and one would have to be a treasurer type person to be the link between us and them. Questions: Do they have similar ideas as the HG? Since they are Willits based and the HG is Mendocino County based would that be a conflict of interest? Must the HG follow the bylaws of their non profit or are we free to operate uniquely? Would we want our alliance with them to be visible or quieter? Is there a social polarization issue by aligning with W.E.L.L.? A sign up sheet went around. Four or so folks signed up to investigate further, will bring back answers to group to be further discussed. Fire Tonic- Claudia spoke with Pet Swanson at the Pub who is willing to serve our tonics as shots and perhaps in drinks.. wants to have a kick off party. Fire Tonic pod is on it. Festivals- Claudia mentioned Harvest Moon, Wild West Festival as being places we can vend our products and have a presence as the Herb Guild. Need folks that would be interested in tabling. Al Rosen is a videographer/cinematographer who is willing to offer his services to the HG for FREE. City Planner is possibly willing to let us plant out some of the areas in the town with herbs.. a proposal is in their office, Claudia will update us. Spoke about her urge to do more outreach to the towns close to us inland, including Laytonville, Covelo, Ukiah, Redwood/Potter Valley to tell people what is up with the MCHG. Amanda Scopen is setting up a meeting in Laytonville, date TBA. Want to do the same for other areas. Village Heath is a good place to meet in Covelo. Donna wants a point person to set up a meeting and day and gather people so we can go meet with new people. ACTION ITEM: Contact Donna at 459-5030 or motherland@pacific.net if you have someone to connect her with. The area at the Grange by her office is available for planting. We could make it a demo/education water wise herbal botanical garden with beautiful signs for the MCHG. A sign up sheet went around. In the process of making business cards for MCHG, we voted on our favorite. Talks of a brochure which could highlight MCHG, our Fire Cider tonic. Talked about making and selling product like Tote Bag, T-Shirts, aprons, veggie bags. Most popular were tote bags, apparel, and flour sacks (veggie bags). Working with Printing Plus + Sienna to make this happen. Discussion to be continued. Mendocino Coast Botanical Gardens having an event: Coastal Cornucopia on Nov 3. They have asked the HG to put together a table. Please email: info@mendocinoherbguild.com if you’d like to table. NCO Garden’s Project is having an event: Garden Palooza on Sept 8 at Vinewood Gardens in Ukiah. Invited HG to table. It is an opportunity for outreach. Please email: info@mendocinoherbguild.com if you’d like to table. Our Coast Group is having an Herbal Craft Fair at the Caspar Community Center on Nov 8- Saturday. All details are on the FB group, Mendocino County Herb Guild Members. $30 for a table, most profits go to the MCHG. -? When the Farmers Market moves back inside.. does it make sense for the HG to have a corner of the room for educational presentations? To increase our HG presence in the community? Primary focus is on developing the resource guide for Herbal Exchange between Farmers growing herbs for the medicine makers in our County. We have been collecting names at the Farmers Market but need to find ways to reach more people. There are plenty of farmers willing to grow herbs but we need to develop a way to identify what the medicine makers want and are willing to purchase. More marketing and exposure for this project is needed. Talked about developing a google doc at some point to connect the farmers and herbalists quickly. The market table is a major outreach success, thank you to AnnaHope for showing up each week! Need more help weekly, even just for 30 min so AnnaHope can have a break. If you have products to sell. .. contact AnnaHope annapurnamountain2013@gmail.com. Some types of products need certificates to sell them at the market. Looking at the HG doing other Farmers Markets in other towns in Mendocino County. .. any volunteers? Name of product: some people are indicating they are triggered by the word Fire and Mendocino in the title because of all the recent fires. Discussion about name change. If we are changing the name it needs to happen ASAP, as sales are increasing. Its working/selling well in the county. We have it in several places. Mariposa just ordered 4 cases. It’s at the Three Sisters Produce Farm Stand in Ft. Bragg, at Corners of the Mouth, Patrona is making shrubs with it. Soon it will be carried at The Village Hearth in Covelo. We need about $3000 to help us move forward and keep up with the demand for bottles and labels and supplies. We will be putting up a GO FUND ME soon – look for that and help spread the word please. If you can donate even just $10 to the fund, please do so on the first day – it will increase the likelihood of us making our goal. We watched our video application for the Mountain Rose Herbs Grants 4 Plants – you can watch it here. Next meeting will an organizational meeting, not so much an update one. Come to get involved with Nuts n Bolts!